Here's a hermit thrush. 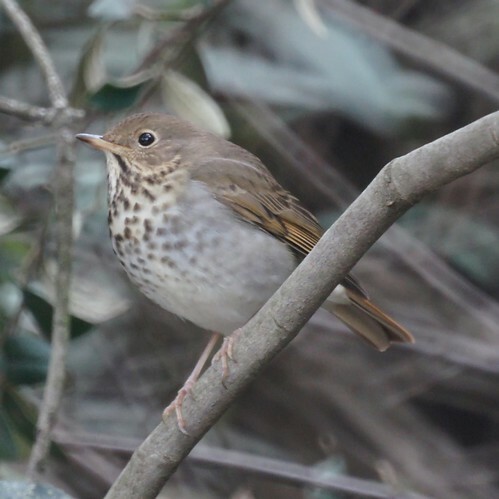 At first, we thought it was an ovenbird, but when we checked on ebird, we saw that there hasn't been an ovenbird within 200 miles of Pasadena but a hermit thrush was sighted in the park the same day we visited. Some day we'll get better at making the ID between the two.